From a contemporary perspective, Classic Cases in Neuropsychology, Volume II reviews important and significant cases described in historical and modern literature where brain damage has been sustained. The single case study has always been of central importance to the discipline of neuropsychology. Cognitive neuropsychology and cognitive neurolinguistics search for universal structures in thought processes, and single patients are an important means to that end. The role of the single case study in the historical development of the field and its increasing contribution to contemporary work is therefore recognised as crucial. This follow-up to the successful Classic Cases in Neuropsychology (1996) brings together more of the important case investigations which have shaped the way we think about the relationships between brain, behaviour and cognition. The book includes cases from the rich history of neuropsychology as well as important contemporary case studies in the fields of memory, language and perception. Some of the cases described are rare, some are seminal in the field, many were the first of their type to be described and gave rise to new theories, and some are still controversial. As in the first volume, each chapter highlights the relevance of the case to the development of neuropsychology and discusses the theoretical implication of the findings. 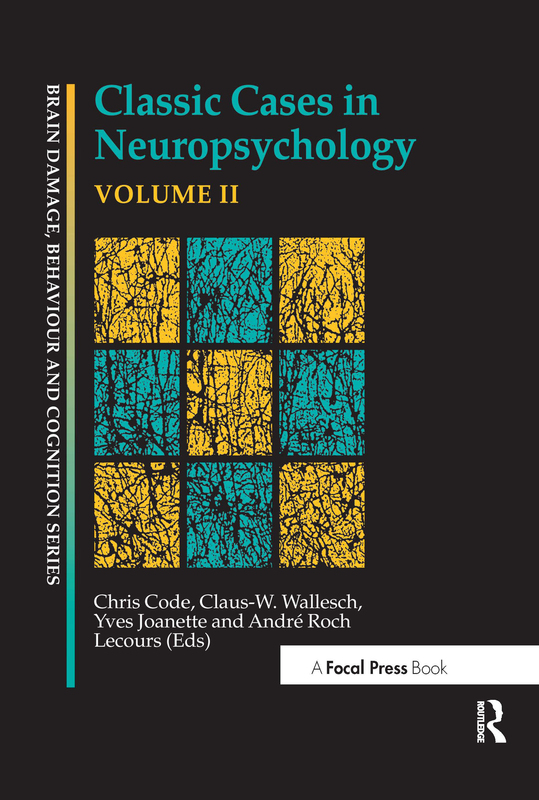 Classic Cases in Neuropsychology, Volume II will be essential reading for students and researchers alike in the fields of neuropsychology and neuroscience. It will also be of interest to speech and language pathologists, therapists and clinicians in this area. Goldstein and Gelb’s Case Schn. : A classic case in neuropsychology?